For as long as I can remember, I've been working in the rice fields. During the planting and harvest seasons, we had so much work that we'd sleep in the fields overnight, and I'd have to walk a long way to school every day. The fields would flood during the rainy season, and my father would take me to school atop our buffalo Mee (Bear). I liked not having to walk on those days, but then I smelled like buffalo all day at school. My other classmates didn't say anything, though. A lot of them smelled like buffalo too. I heard Muay Thai before I ever saw it. One of our comforts from home in the rice fields was a radio. My father listened to it whenever he had enough money to buy batteries. He would tune in to broadcasts from Bangkok, and I would fall asleep in the warm air under the stars, listening to the fight commentary. 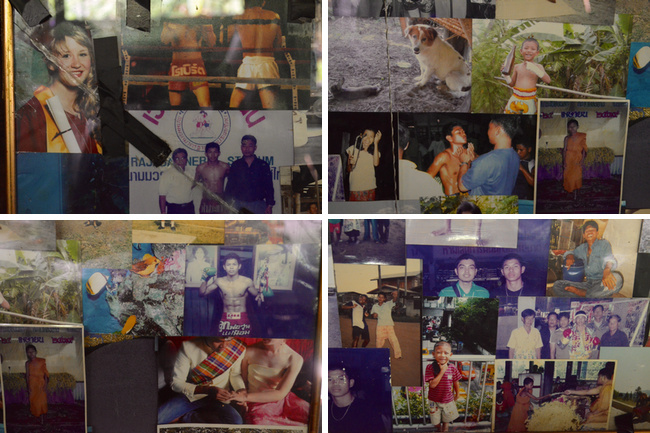 My father loved Muay Thai, but he was never a fighter. He didn't want his children to become fighters, either. He wanted us to find government jobs, maybe join the military, become teachers or doctors. He said he didn't want his children to get hurt, said that fighting was dangerous. 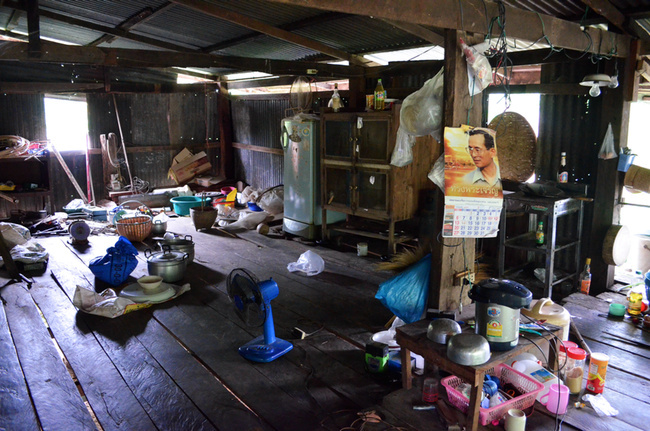 But life in Isaan was dangerous anyway. I was the youngest of five boys, and most of my brothers were bad kids. They drank and smoked, they had gang problems, just like a lot of the other kids in the area. Sometimes at night I would overhear my parents talking about my brothers, about how many problems they were causing. My mother was always so sad about it. I remember hearing her crying at night. I saw what my brothers' bad behavior was doing to my family, and I decided at a young age that I would be good, finish school, and not put my parents through that kind of strife. My oldest brother Wit ran away from home right before I was born. My parents didn't make much money off rice farming, and my brother had dreams of becoming a Muay Thai fighter, fantasizing about all the money he could earn. He made his escape one day without telling anyone. 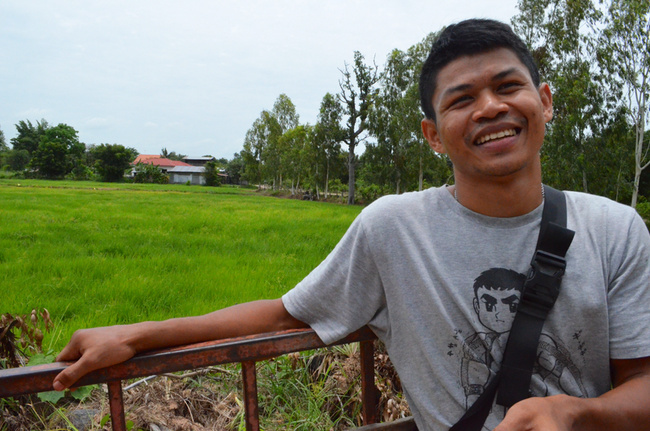 He stole enough bags of rice to pay for a bus ticket, then hiked about 20km through the rice fields and villages until he reached the closest town with a main road and a bus stop. Wit was only 11 or 12 at the time. I have a memory from when I was five years old: I was playing at home, and a strange man showed up. I could tell he was from outside the village because he was wearing jeans, a flashy belt, and a nice jacket. He took a seat casually in our house, and I said, "Who are you? Why are you here?" The stranger just laughed at me. 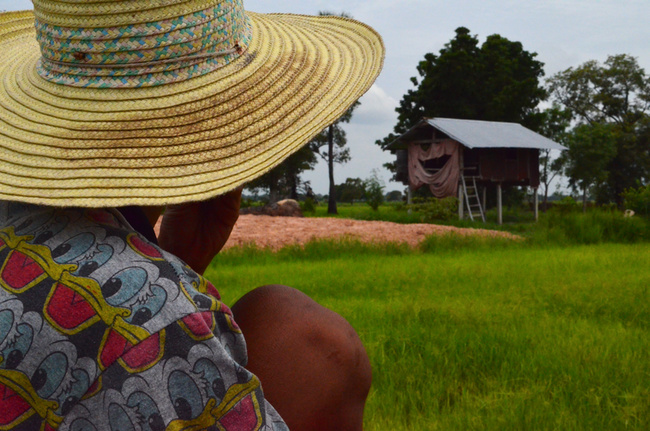 My mother arrived home from the rice fields just as the sun was setting. She came over to see who I was talking to. When she saw the man sitting there, she fainted. That was the first time I ever met my oldest brother. My parents had never told me about Wit because they thought he was dead. He was already a bad kid before he left the village, and my parents figured he had been killed by bandits out on the Isaan roads or in the jungle. I heard more of the story as I got older. 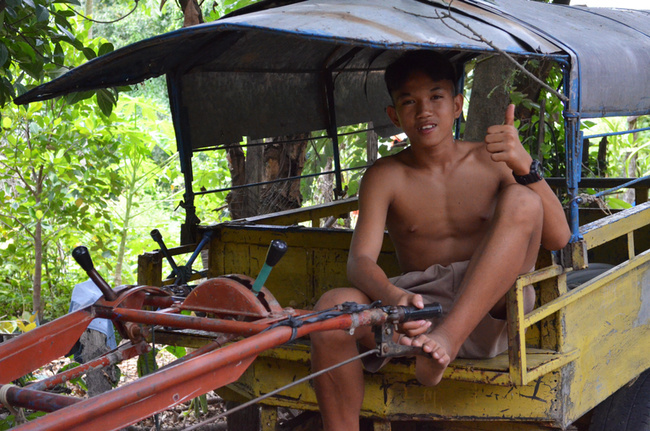 Wit left our village and made his way toward Bangkok, hoping to join a gym in the capital. His childhood friend Dam, only two years older than he, found him a few years later, training in a gym in Rayong Province, southeast of Bangkok, and working as a fisherman on the coast. Dam showed up back at our village one day out of nowhere and said to my father, "I found your son." 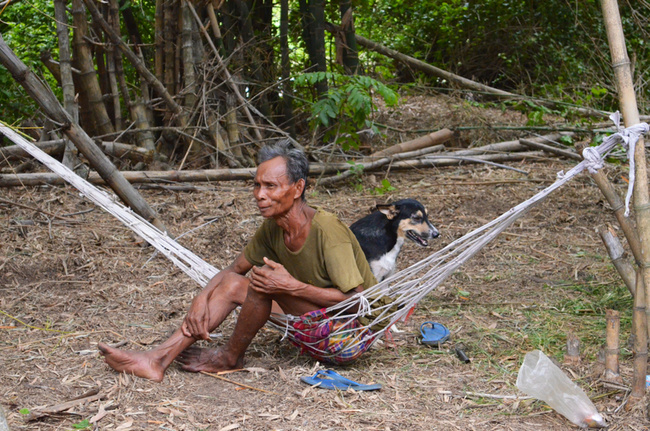 My father made the multi-day trek out to Rayong to bring Wit home, but he refused, said he loved Muay Thai and wanted to keep fighting, and that there was nothing for him in Isaan. Wit came back a while later on his own. Over the next few years while I was growing up, my brother would come home every so often to visit us. He told me he finally made it to Bangkok, that he was a fighter now. He performed well in his fights, but he bounced around from gym to gym and we never knew where he was. We knew he was fighting only because we'd hear of his results by word-of-mouth. He fought into his 30s. 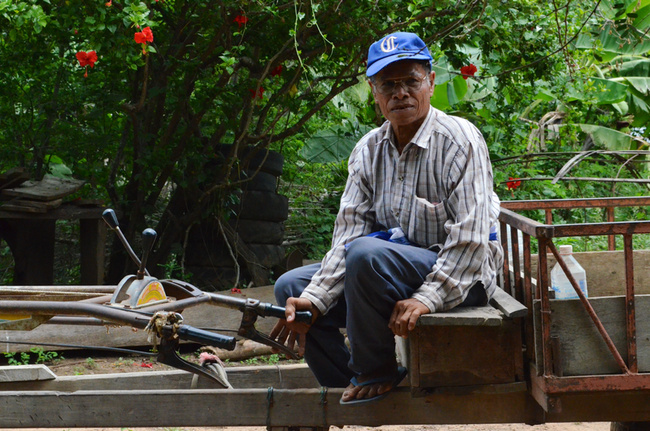 Now he's back in Rayong Province, working in a factory that produces diving equipment. My brother was an amazing fighter, but he never became a champion. I think there might have been two reasons for that. The first problem was that he was lazy, and he liked to drink and smoke. He was talented, but he didn't have a passion for Muay Thai enough to keep him focused. The second issue, though, is that Wit skipped around too much. His training and his gyms were inconsistent. Most successful fighters are people who are raised long-term at a good gym, where they're developed and cared for. Wit beat some big names but he never had a good support system. If you have a strong gym in Isaan that raises you, and a strong gym in Bangkok that picks you up, you'll have a much greater chance of becoming a top fighter. Champions without that background are rare. Wit never talked to me about fighting much, but other people in the village would tell me about him. They told me that right before he ran away from home the first time, he fought a local kid named Rotnarong twice, beat him both times. Well, that local kid went on to become a big Rajadamnern champion. If you ask him now, Rotnarong will laugh and say those fights weren't real because they were just village fights. I heard that after Wit beat him, Rotnarong's mother grabbed her son when he came out of the ring and just lost it on him, totally chewed him out, told him he was a disgrace for losing. I think he must have been only 11, maybe 12, when that happened. Wit was the one who sparked my interest in Muay Thai. I followed him to a temple fair and watched him fight, then saw a bunch of kids my age fighting. I thought if they could do it, then I could do it too, so I begged my brother to start training me. I was only six at the time, and I was the baby of the family so my brother refused to train me, said I was "too soft and gentle." But my brother's childhood friend Dam, the one who found him in Rayong, showed me some techniques here and there over the years. It was hard to find ways to train by myself. There were no gyms nearby and no one to teach me, so I had to get creative. One day, I found a sack and filled it with rice husks, then hung it up in a tree in the rice fields. That was the first time I ever hit a bag. It was homemade, like a lot of the bags in Isaan. My father didn't support the idea of me fighting. He said it wasn't worth it, to damage your body like that. "What are you fighting for?!" he would say. "To be like your brother? He has nothing in life! Is that what you want for yourself too?" I wanted to fight for the same reason that I wanted to get good grades in school and work in the rice fields: to help my family. I knew that I could get a small purse from fighting, and even that little bit of money could help my family. My mother cried her whole life over my brothers, and I didn't want her to cry over me. My main sport as a teenager was running. My best time was 10km in about 29 minutes. I'd enter races, then give my parents the winnings. In my spare time, I'd go looking for Muay Thai fights, show up at the events and hope to be matched up. At first, I was very nervous about fighting. I hadn't been raised at a gym and I wasn't even really sure of the rules. I was such an amateur compared to the other fighters there. I even had to make my own Muay Thai shorts by hand. 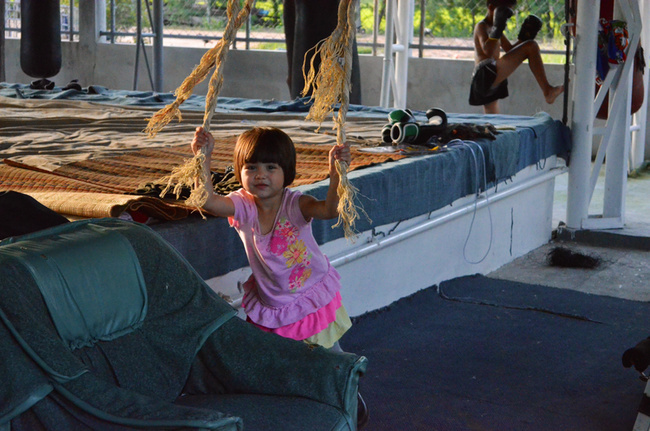 Muay Thai in Isaan is closely tied to the rice farming season. More fights happen during harvest season because people have more money in their pockets. 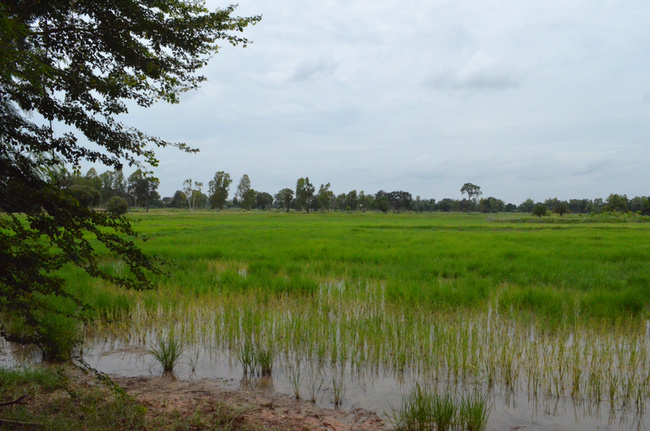 It slows down during the ploughing and planting seasons because that's when the rains come, and the farmers are investing money into planting their rice fields. Usually matches are held in rice fields directly after the harvest season, when the fields are flat and dry. Fights like these are very cheap to host, and a lot of Isaan fighters get their start there. I started in the fields too. I only fought about a dozen times during high school, but I did very well in my fights even though most of my opponents were far more experienced. I didn't have much technical training other than the sporadic lessons from my brother's friend Dam, but I was in great condition because I was a runner. When I was 20, I started fighting out of Bor. Breechaa Gym in Bangkok. That was where I met my wife Frances. She was a fighter from Canada, and we've been married seven years now. We moved to Canada a few years later so she could finish her degree. Now we're back in Isaan after four years in Canada. 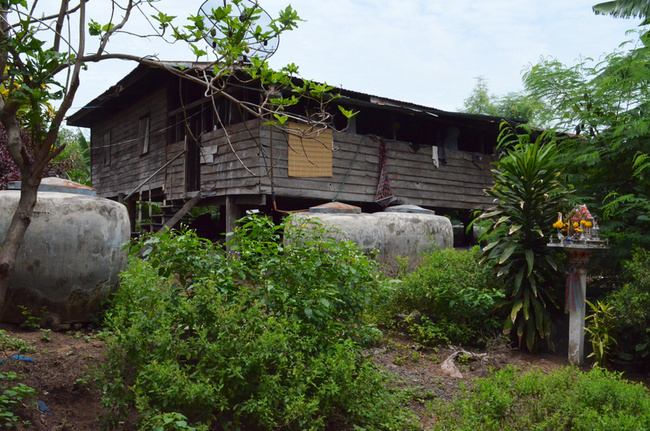 We live in a town in Buriram Province, about 15km from my village. I'm fighting out of Giatbundit Gym, working on a business, and raising my family. My wife and I take our four-year-old daughter to visit my family in the village every week. It's comforting to be back in the village after so many years away in Bangkok and Canada. It's such a small community; I've been seeing the same faces my whole life. Like our resident ice cream man, we call him Uncle Yo. He's been selling homemade ice cream for over 30 years, longer than I've been alive. He'll stop by on his makeshift "ice cream motorcycle" whenever he knows we're in town. I remember he used to sell ice cream at the fights around here. He'd go to the temple fairs and hand out ice cream for free sometimes. 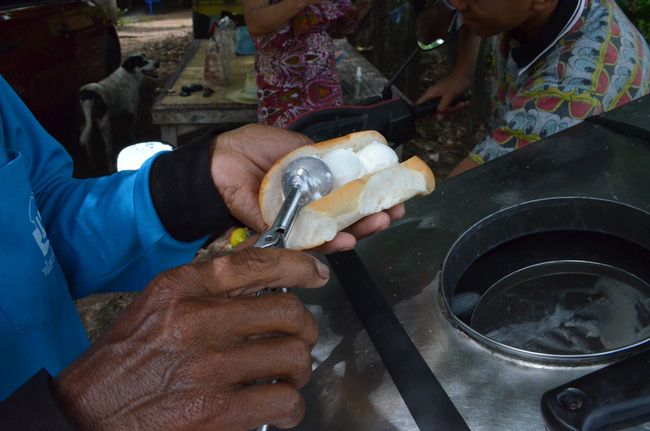 Giving out free ice cream was his way of making merit, doing good deeds for good karma. Nowadays, whenever Uncle Yo hears that my wife or I fought recently, he'll come by on his ice cream motorcycle and ask how we did. I remember when I was growing up, my father said he didn't want his children to fight because he was worried we would get hurt. He didn't want to see us in pain. Now that I have a daughter of my own, I understand where he was coming from.